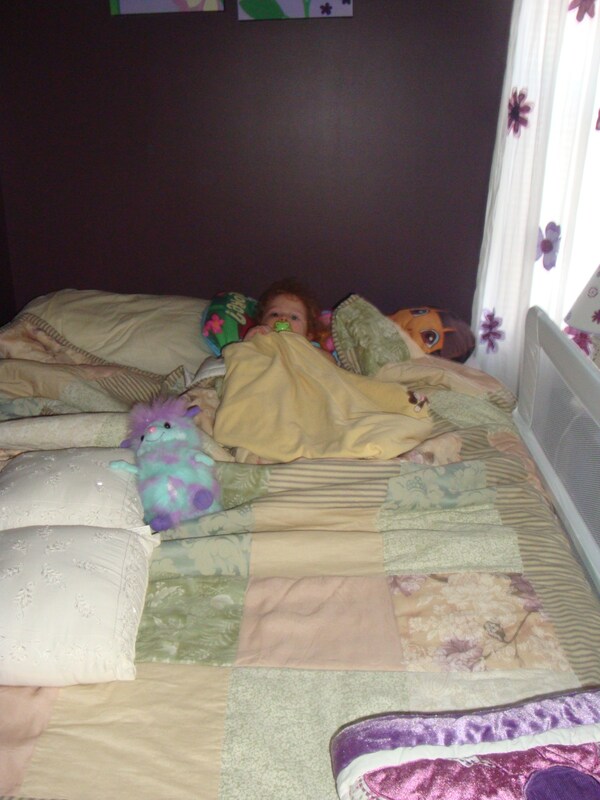 The Littlest Pea’s Not So Little Anymore…..
April 2011, while on an over night visit with Grandpa my little Phoebe grew into a toddler. No longer willing to sleep in a pack and play she crawled out while napping and met me at the top of the steps. An immediate phone call to Dad of 2 Peas was made to inform him of his little escape artist and the fact that she will need to sleep in a big girl bed soon. When we got home I refused to run to the store for a bed rail she is still a baby and needs her crib surely she can’t jump out of that! 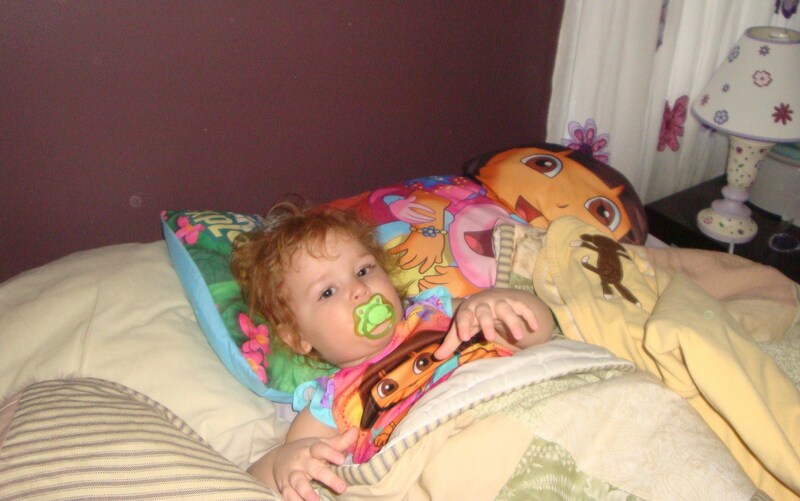 WRONG that same day I caught her half way over the crib so we went to Target and got the bleeping bed rail. My baby was no longer a baby and she was so excited to finally sleep in the big bed. 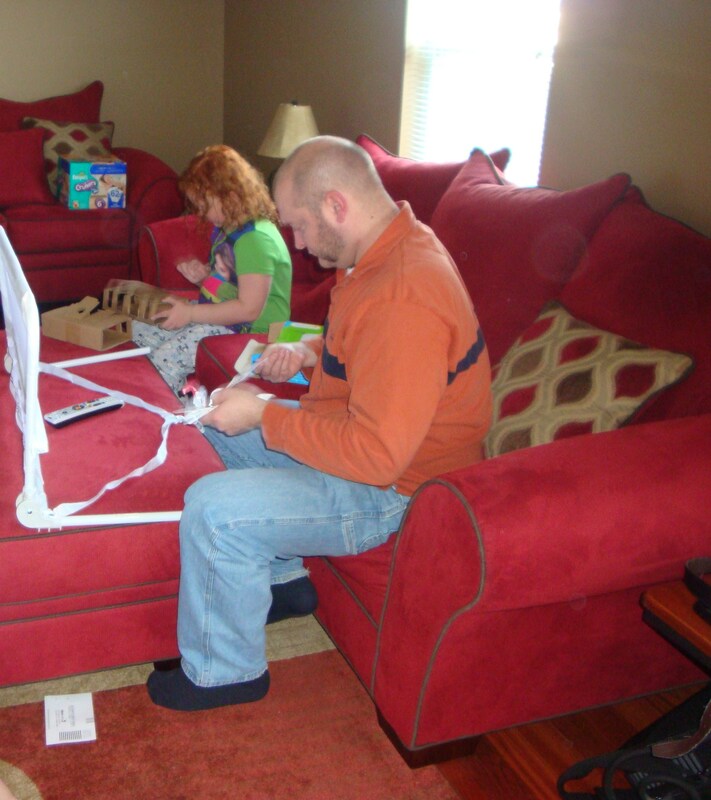 Pyper helped Chad put the rail together and we waited while he put it on the bed. That night I thought I would have to lay with her get her used to it, constantly run back up and lay her down……. again….WRONG so I did what any Mom would do and just started to take pictures. 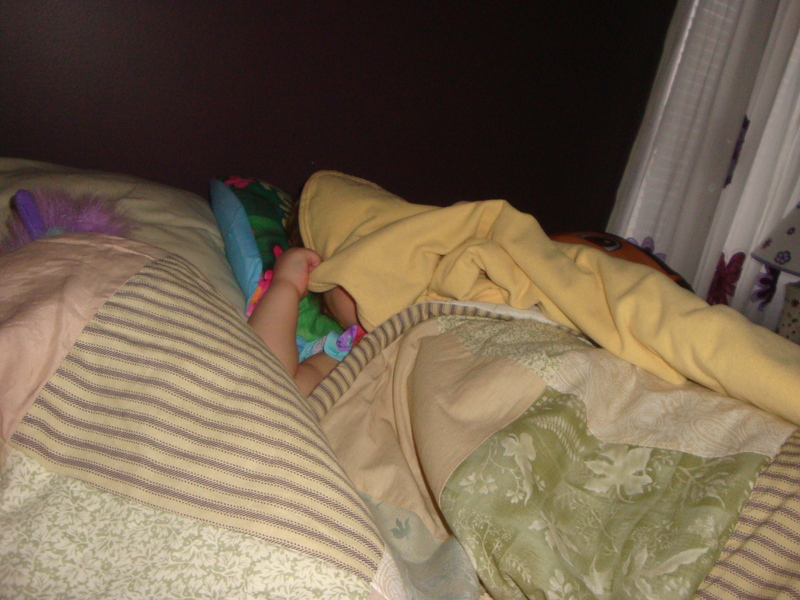 She wasn’t to into that either, she just wanted to sleep in her big girl bed……. 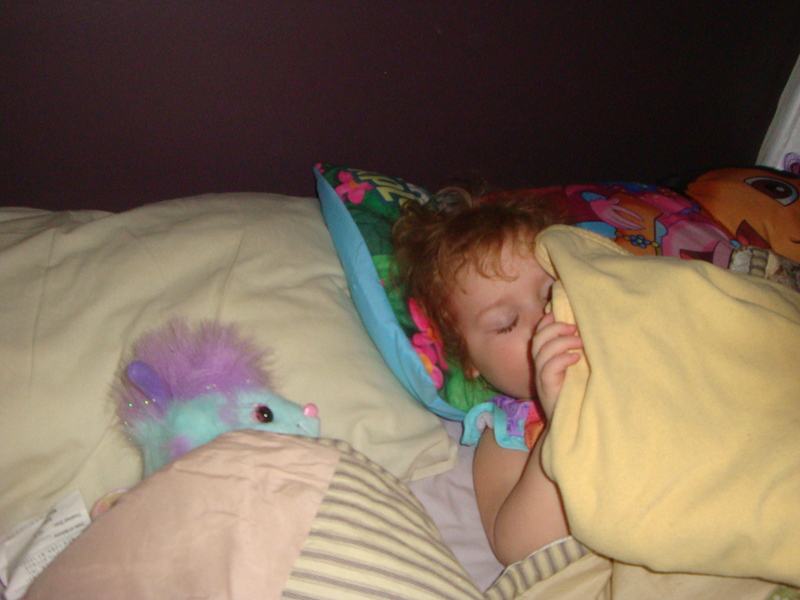 After Bibble was covered up, her Dora Pillow under her head and her binky right there in her mouth she was ready to go night night…..
Before she could go to sleep, Professor Puffington took a look around and was slightly confused, where is Phoebe?? Just bed pillows in the crib now. Soon the crib will be taken down and will be a head and foot board for Phoebe’s big girl bed. 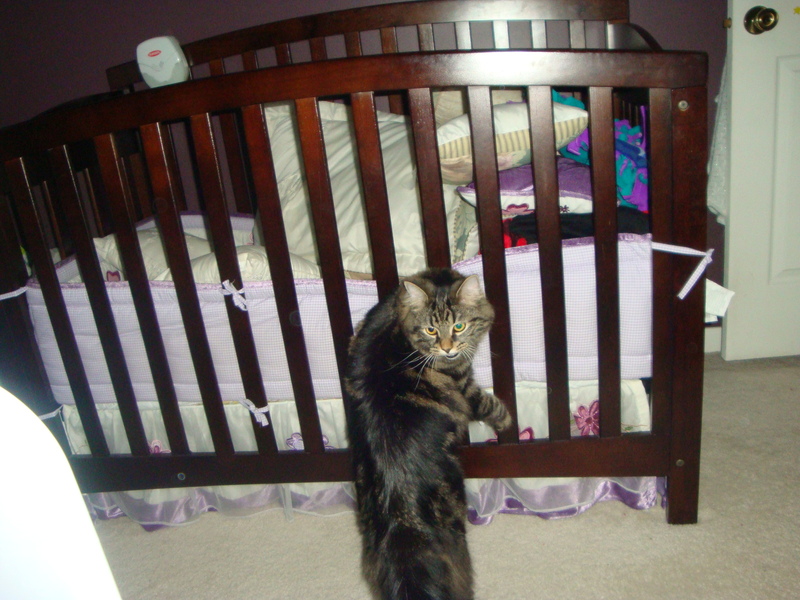 That will be the end of cribs in this house and I am a little sad about that. Both my girls are growing more and more independent, yes I know she is only 2 and a half but it’s the little things that I already miss. She doesn’t want me to help her into bed, she doesn’t want to hold my hand coming down the stairs, she gets her cereal in the morning and brings it to me. I could go on and on. This is just another step in Phoebe’s growing up guess Mommy needs to too!